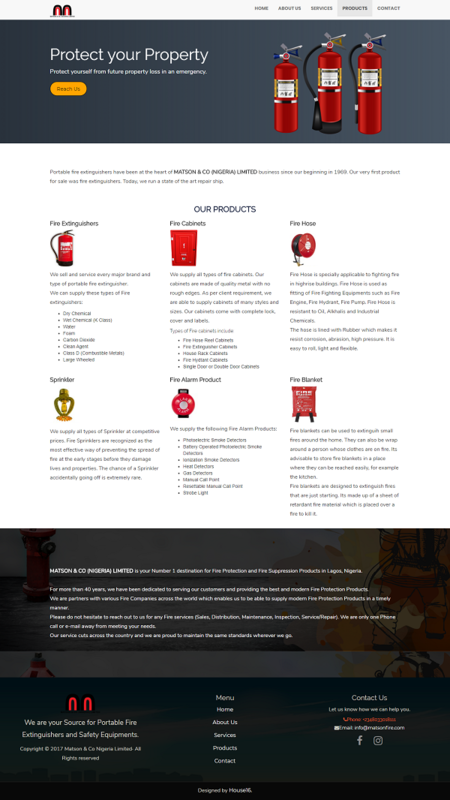 Fire safety equipment dealers in Lagos, Nigeria. 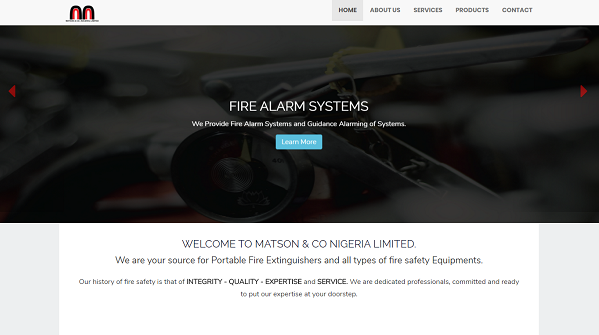 Matson Fire is a fire fighting and protection equipment dealer in Lagos, Nigeria. 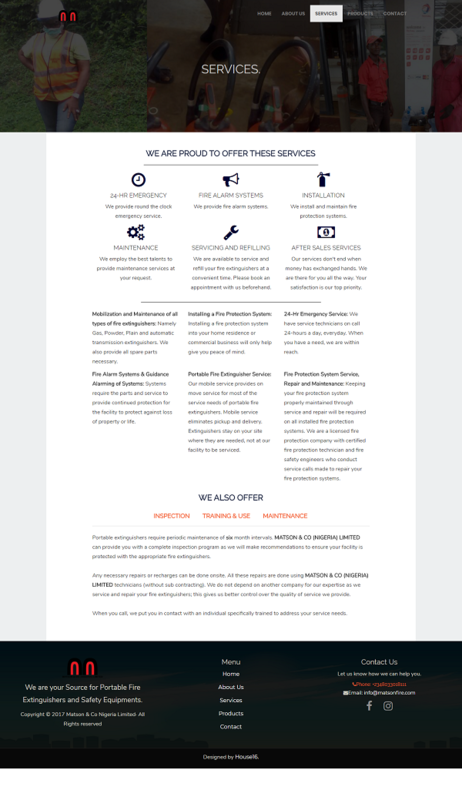 They contracted us to develop a simple website so their customers can find them online. Their goal was to increase brand exposure through search engines and social media. They wanted website with sleek design and easy to use User Interface. 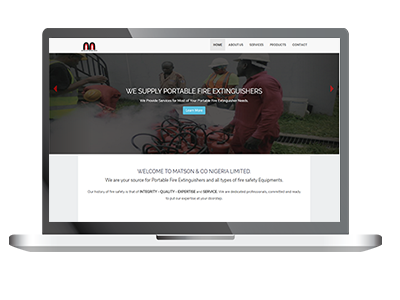 Matson Fire is a family owned business that has been passed down for generations and their decision to go online was commendable. We developed a functional website that conveys all the necessary information to their potential customers. Finally, they can take advantage of online traffic to improve their business.